1. Time is your friend; impulse is your enemy. 2. If you have trouble imaging a 20% loss in the stock market, you shouldn’t be in stocks. 3. When reward is at its pinnacle, risk is near at hand. 4. We now have an equity fund industry that’s [worth] $2 trillion, and if everyone wants their $2 trillion back tomorrow, they’re not going to get it. 5. Capitalism requires a structure and value system that people believe in and can depend on. 6. The scandal is not what’s illegal. It’s what’s legal. 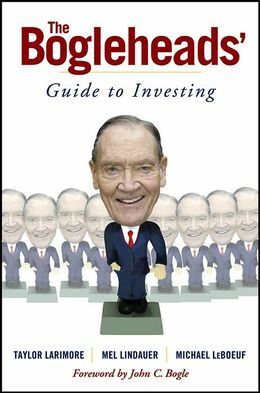 For regular investors for whom investing is not a full-time activity, the Bogleheads’ Guide to Investing is a wonderful book that asks the right questions and provides clear answers. 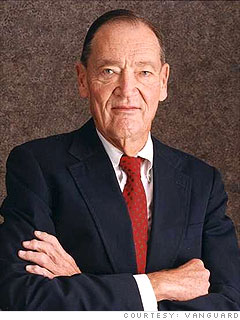 In a single book, the authors (who also started an online forum bogleheads.org based on the investing principles of John Bogle) have explained, in a step by step, clear and authoritative manner, what a normal individual investor and his/her household needs to know about investing, and what steps they need to follow to reach their goals. It becomes clear that the authors have experienced and followed it themselves in their lives and now are keen to spread the message in their sunset years. Written by experienced individuals, this is a one-stop book for anyone who does not want investing to be a chore, wants credible advice once and for all in a single package, so that they can get it done and focus on the other things in life. Almost like grandpa’s advice, it is worth its weight in gold for new investors to learn, and for experienced investors to unlearn! 4. Figure out approximately how much you might need for your retirement. 5. Indexing via low-cost mutual funds is a strategy that will, over time, most likely outperform the vast majority of strategies. If you decide to own actively managed mutual funds, choose managed funds with low expenses. 6. An asset allocation plan based on your personal circumstances, goals, time horizons, and need and willingness to take risk is the cornerstone for reaching your goals. 8. Taxes are your biggest expense. Invest in the most tax-efficient way. 9. Rebalancing is important. Rebalancing controls risk and may reward you with higher returns. Stick with your chosen rebalancing strategy. 10. Market timing and performance chasing are poor investment strategies. They can cause investors to underperform the market and jeopardize financial goals. 11. Tune out the noise and do not get distracted by day-to-day events. 12. Protect your assets and life with adequate types and amounts of insurance. Insurance is for protection, it is not an investment. Don’t confuse the two. 13. You need to master your emotions if you want to be a successful investor. Letting your emotions dictate your investment decisions can be hazardous to your wealth. 14. Finally, Stay the Course!